Michael Freedberg compiles a list of potential candidates for the District 5 (Hyde Park, Mattapan, Roslindale) city-council seat Tim McCarthy is retiring from. Now, In his farewell address, McCarthy wrote: Read more. Tim McCarthy, who has represented Hyde Park, Roslindale and Mattapan on the city council since 2013, announced tonight he's decided not to run for re-election this fall. The Dorchester Reporter interviews Tim McCarthy about his plans to run for re-election in District 5 - Hyde Park, Mattapan, Roslindale - and how, if he wins, he probably won't run again. He's already facing two opponents in the 2019 election. 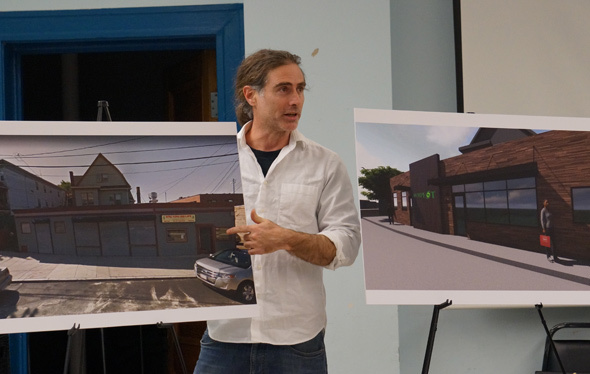 Three main types of people attended a community meeting tonight on a pot shop proposed for the intersection of South and Walter streets: People who support the idea of a locally owned shop, especially one in a long derelict storefront; people who don't object to the idea of a pot shop in Roslindale in general, just not at that location; and a smaller group of people who begged the would-be operators to think of the children and not open anywhere near families and Fallon Field. Read more. City Councilor Tim McCarthy, a Readville native, announced today he opposes a developer's plans for a 492-unit residential development along Sprague Street just south of the Readville train station. Read more. The City Council agreed today to look at ways to make developers take trees into consideration as they transform Boston into a denser city. Read more. Charlie Redd announced this morning that he'll be shutting Redd's in Rozzie in about a month. Read more. Boston City Councilors say the $85 million the city directly pays into the MBTA every year should at least buy them a meeting with T officials to press their case to do more than just maintain an increasingly unreliable system they say particularly penalizes residents who don't live near a subway stop. Read more. Ed. note: This post has been extensively rewritten to take into account Harvard's decision to postpone any work and to add a statement from somebody in favor of it. Harvard's Arnold Arboretum says it's put a controversial proposal to put solar panels on an open field at Walter and Weld streets on hold. Still, five city councilors have written Harvard President Drew Faust to make clear their objections to the plan - and request that Harvard use a neighboring parcel instead.. Read more. 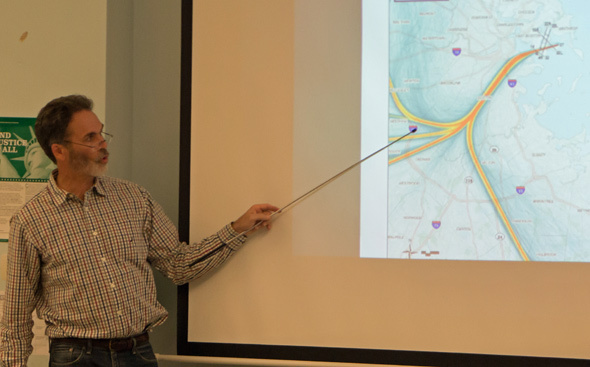 Wright points to the narrow flight path from Logan to Forest Hills; the blue shows the paths planes used to take. Modern technology and a 1990s court decision have created a narrow flight corridor off a Logan runway that can mean hour after hour of planes roaring over Roxbury, Jamaica Plain, Roslindale and West Roxbury, from late at night to early in the morning, driving residents nuts. Read more. The Boston City Council voted unanimously today to tell the federal government to cut the nonsense and let Haitians here on "temporary protected status" visas stay here, because the awful conditions in their homeland that brought them here persist. Read more. The Herald reports Jean-Claude Sanon is gearing up for his third try for the District 5 City Council seat (Hyde Park, Mattapan, Roslindale) held by Tim McCarthy. Sanon, who lost to McCarthy in 2013 and 2015, says he has gained inspiration from the example of Donald Trump, whom few experts expected to win last fall. The Boston City Council today approved looking into how to regulate rental services like Airbnb from laying waste to neighborhoods and harming local hotels and workers while also protecting poor homeowners who increasingly rely on the services to make ends meet and stay in the city. Read more. The Boston City Council agreed today to hold a hearing on the vetting process for how people become constables following last week's shootout in East Boston, involving a man who the council named a constable earlier this year. Read more. The City Council today approved a hearing on what the city should do about the exploding menace of hoverboards. Read more. 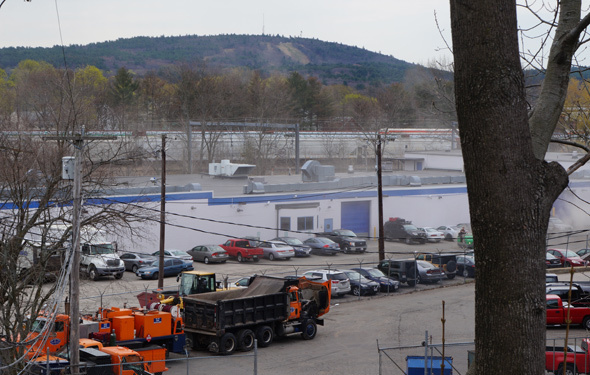 Check out the view of the Great Blue Hill from site of possible residential complex. A developer is floating the idea of buying three parcels near the Sprague Street bridge in Readville for an eight-acre, 600-unit residential complex, just down the street from the 2.7-acre parcel another developer recently bought with plans for 240 apartments. News of the possible market-rate complex with a pool had Readville residents in an uproar at a neighborhood meeting Thursday night, even though the developer does not yet own the land, let alone have formal plans to submit to the city. Read more.